Elton John sang “Saturday Night’s Alright for Fighting” but he didn’t mention Friday night and he didn’t mention dancing. This week Friday offers a number of musical choices, whether you want to dance or listen to jazz. Of course, the other nights of the week offer some great music as well. Modern Time @ Cafe Maude, Minneapolis. 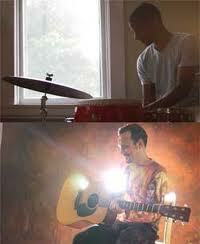 7pm (No Cover) Vinnie Rose, guitar; Graydon Peterson, bass; and Adrian Suarez, drums; are Modern Time. Cafe Maude is a neighborhood bistro at 54th & Penn that serves imaginative cocktails and very good food. On music nights, they feature a Prix Fixe menu for $20. Reservations recommended. Mention that you want to hear the music. Anton, Gravatt, & Little @ The Nomad, Minneapolis. 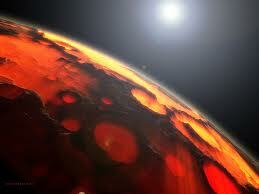 9pm (No Cover) Jim Anton, bass; Eric Kamau Gravatt, drums; and Doug Little, reeds. A good beer selection and amazing musicians. Maude Hixson @ The Lexington, Saint Paul. 6:30 – 10:30pm. (No Cover) With a warm voice, wonderful enunciation, and great pitch, Hixson is perfect for the venerable Lexington’s Williamburg Room. A dining spot that’s old school clubby, what with its paneled walls and such. She has just released a CD single of Cottontail, a romp through Jon Hendrick’s vocalese lyrics to the Ellington standard. Vijay Iyer Mini-Festival @ The Walker Art Center. 8pm ($25/night or $22/night for both nights). The Jazz Hounds will be out as the Walker presents this Mini-Festival. Iyer is the young pianist that’s attracting much deserved attention (i.e., recent cover of Jazz Times). He will be performing solo as well as in small group contexts with a number of different guest musicians. Nathan Hanson & Brian Roessler LP Release @ The Black Dog, Saint Paul. 8pm. (tip jar) Regulars know the power and talent of the bassist (Roessler) and saxophone player (Hanson), both of whom have a deep well of imagination when it comes to improvisation. They are celebrating the release of a new LP. That’s right LP. Vinyl’s coming back. Phil Hey Quartet @ The Artists’ Quarter, Saint Paul. 9pm. ($10) A rare weekend outing for this outstanding quartet. That drummer Hey and his cohorts, Dave Hagedorn, vibes; Tom Lewis, bass; and Phil Aaron, piano; live in the Twin Cities rather than the New York area is no reflection of their talent. Each has been recognized for their playing with numerous “national” artists, both here and on the road. Together they play tunes by Coltrane, Mingus, Coleman and others whose compositions demand the very best musicianship. And they deliver. Vicky Mountain & James Allen @ First Course Bistro (56th & Chicago), Minneapolis. 7pm – 9pm. Vicky’s vocals mesh so very well with Allen’s guitar playing, whether they’re performing standards, a Fats Waller tune, or something by the Clovers. The result is music that will have you putting down your fork in order to listen. It’s a small place with good food, so you may want to call for a reservation. 612-825-6900. Nathan Hanson’s Saxophone Choir @ Roseville Area High School, 1240 County Rd B2 West, Roseville. 7pm ($10) Fantastic Merlins’ Brian Roessler (bass) and Pete Hennig (drums) will support an eight-piece horn section, which will include Hanson, George Cartwright, Pat Moriarty, Donald Washington, Daryl Narum, Joe Smith, Scott Fultz and Brandon Wozniak. Hanson is doing the arrangements for songs composed by Jacques Thollot, Milton Nascimento, Jamaaladeen Tacuma, Josef Zawinul and Nathan Hanson. RAMM on KFAI and @ The 331 Club, NE Minneapolis. 5pm (KFAI), 7pm (331 – Tip jar) RAMM is Paul Mayasich, guitar; John Iden, bass; and Donald “Hy” Pockets, drums. Paul is a monster guitar slinger, especially on slide. Together the three create jumpin’ music that draws from a variety of sources, notably the blues. Find out for yourself by tuning in to KFAI (90.3 and 106.7FM) during the 5 o’clock hour. Womenfolk Live @ The Amsterdam Bar & Hall, Saint Paul. 9pm (No cover) Ellen Stanley, host of KFAI’s Womenfolk show on Tuesday afternoons, has been curating monthly roots shows at the Amsterdam. Tonight she’s presenting acts that are fronted by, including Black Audience, Reina del Cid, Mother Banjo (Stanley’s alter ego), and more. Tune in to KFAI between 2 and 4pm to hear Jayanthi Kyle of Black Audience performing live. Julie Johnson & Rena Kraut w/special guests The No-Accounts @ Hotel 340, 4th & Cedar, Saint Paul. 5pm (Free) Johnson on flute, and Kraut on clarinet will interpret Minnesota folk songs with the help of Johnson’s group, The No-Accounts. The two will also play an original compositions. The community council for Saint Paul’s downtown will be holding its First Friday Community Happy Hour at the same time. Crankshaft & The Gear Daddies and Lamont Cranston @ The Minnesota Music Cafe, Saint Paul. 8pm ($?) Crankshaft is a new generation blues guitarist, whose sound is as raw, wild, and ready to unleash your primal instincts. 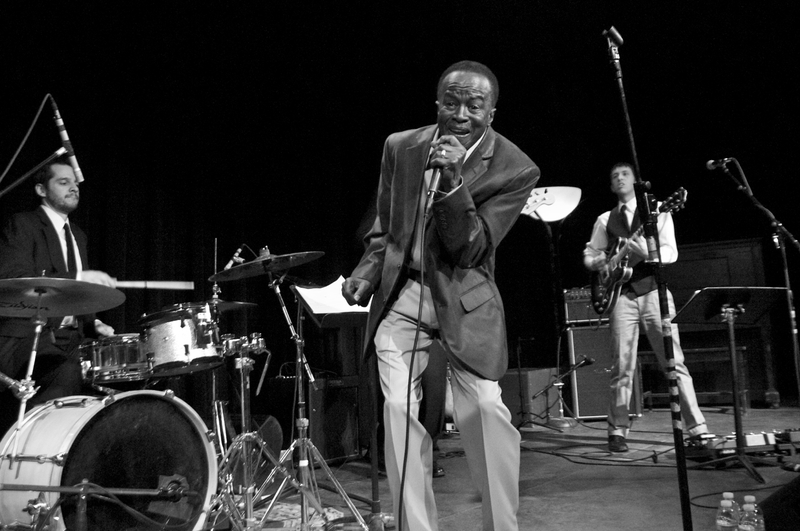 Lamont Cranston has been shaking dance floors with jump blues and more for what, 35 years or so. Randy Weeks @ The 331 Club, NE Minneapolis. 10pm (tip jar) Weeks is the Texas Troubador who comes town a few times a year and packs the 331 with his rockin’ alt-country. Check out this video to get a sense of his sound. Socaholix @ Bunkers, Minneapolis. 9:30pm ($7) If you don’t want to rock to blues or alt-country, but still want to dance, check out the Caribbean sounds of this group, made up of former members of Shangoya. If this music doesn’t get you moving, I’d check to see if you have a pulse. Afro Funk Vinyl LP Re-Release Party @ Club Jager, Minneapolis. 10pm – 2am. (Free) And just in case you want to stay up late dancing, the fine folks at Secret Stash Records are once again releasing a long-lost gem and having a party to celebrate. This time ’round it’s Afro Funk, a group of mostly West African expatriates living in London in the 70s, when a vibrant African music scene was causing all kinds of excitement. Tonight there will be Deejays a plenty spinning African dance grooves. Big George Jackson @ Hollihans, White Bear Lake. 6pm (No cover). It’s a small place, but it gets rockin. I haven’t noticed Jackson playing out too much lately, so here’s a chance to hear that great booming voice of his, and down a few adult beverages at the same time. Dave Alvin @ The Dakota, Minneapolis. 7pm ($20) Since forming The Blasters oh, so many years ago, Alvin hasn’t been afraid to explore all sorts of byways in the world of roots music. He creates “loud folk music” and sings about folks like Big Joe Turner and Johnny Ace. Here he is singing a song about 4th of July. 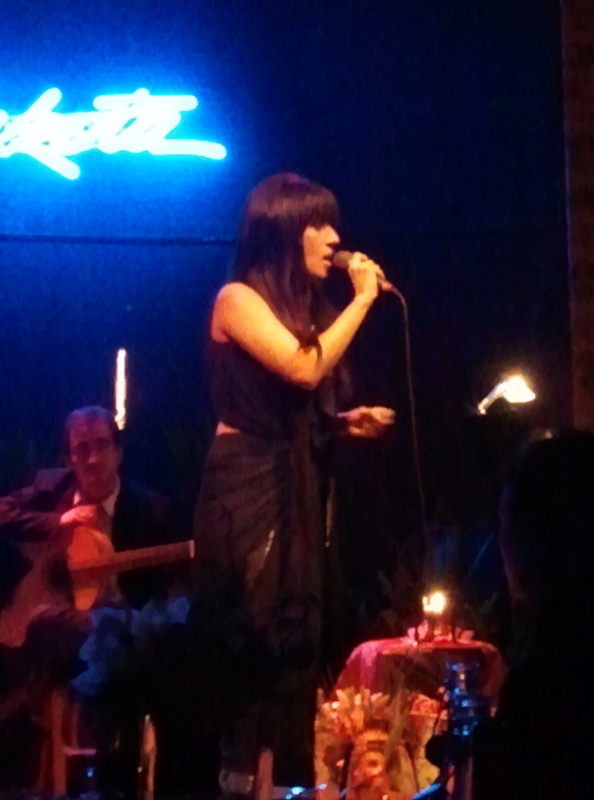 Ana Moura brought Fado music to the Twin Cities in her mid-February appearance at The Dakota Jazz Club. For those of you who are not familiar with Fado, it’s a Portuguese music form that is most often identified with feelings of loss and melancholia, and an acceptance of one’s fate. It dates back to the early 19th century, when it was first performed by sailors and members of the urban working class. 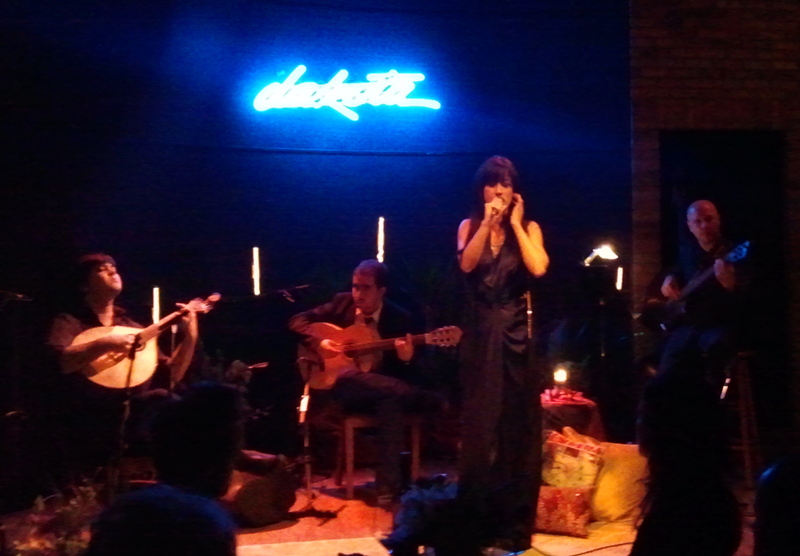 Fado has had a resurgence in Portugal, thanks to young performers like Moura. Mind you, I don’t know Portuguese, and until a couple of weeks ago, had little idea of the music myself. Moura entered the stage quietly, after her band (bass, classical guitar, and Portuguese guitar) had begun the first song. As soon as she began singing, it seemed that waves of longing washed over the audience, most of whom, like myself knew no Portuguese. Maybe I’m projecting my own response onto others, but it did seem that the audience was highly involved in her performance. Moura has a slightly smoky voice, perfect for communicating heartbreak and sadness. That expressive voice, combined with evocative melodies, tapped a deep well of emotion and the audience responded in kind. She didn’t need any grand gestures to communicate. A slight movement of her hips or shoulder in time to the music would signal her delight in the music. The slightest hand movement was all that was needed to encourage the audience to clap in time to the more rhythmic numbers. It was during the faster numbers that Angelo Fadou, on Portuguse guitar, astounded listeners with his facile and imaginative playing. About half way through the hour and 45 minute set, Moura talked about working with Mick Jagger and Keith Richards. She then sang “No Expectations,” mixing English and Portuguese. As sung by Moura, it was not only beautiful in a way I had never imagined, but fit right in with the rest of her repertoire. Moura’s performance was warm, inviting and uplifting. I know that sounds odd given the melancholy nature of the songs, but the audience’s response was just as warm. It it now obvious to me why Moura is a rising international star, with fans that include The Rolling Stones and Prince, who was in attendance that evening. For what little it is worth, I am now a fan as well. From a visiting iconic band leader/television personality, to resident artists that are A-list players on a national basis, to a couple of new groups with established players, the coming week offers a rich pool of possibilities for the Twin Cities music lover. Those of us who reside here are lucky to live among such a creative community. Those of you who are visitors are welcome to sample our musical version of the good life. Sue Oatts & the Wolverines Trio @ Hell’s Kitchen, Minneapolis. 6pm (No Cover) If you’ve been interested in Twin Cities jazz for more than six years or so, you may seen or heard Sue, who used to go by the name Sue Tucker. Her 2006 release Back Home, is a fine example of jazz singing, wherein she tackles standards and some choice lesser known songs. She is well suited for swiinging along with the Wolverines Trio. Anthony Cox Group @ The Nomad, Minneapolis. 9pm (No Cover) Always an A-list bassist, whether in NYC or the Twin Cities, Cox is definitely worth seeing. Doc Severinson Big Band @ The Dakota, Minneapolis. 7pm ($60) 9pm ($40) A big band at the Dakota? Well if sixty year music veteran and former leader of the Tonight Show Band wants to do it, the good folks at the Dakota will accommodate him. Sure, it’s a bit of cash, but outside of this appearance, I don’t know when else you’d get to see Doc and his Big Band outside of a large hall or theater. Chris Bates Good Vibes Trio @ The Artists Quarter, Saint Paul. 9pm ($5) Chris will be joined by Phil Hey on drums and Dave Hagedorn on vibes for what will surely be an evening of enjoyable, exciting music. Debbie Duncan and Dennis Spears @ The Dakota, Minneapolis. 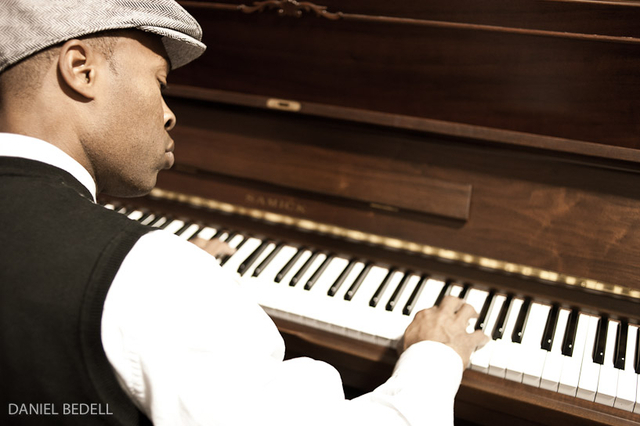 8pm ($10) Whether Spears is singing in Moore by Four or portraying Nat King Cole in a theatrical production, he entertains. 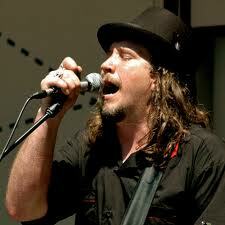 Duncan is equally at home singing blues or jazz and is an artist other artists come out to see. Patty Peterson and Friends @ The Artists’ Quarter, Saint Paul. 9pm ($10) Another A-list singer for the Twin Cites. Patty has received the Minnesota Music Award seven times, and has released four CDs with the likes of Sheila E. and Ira Sullivan, among others. Richard Johnson: The Frank Sinatra Songbook @ St. Michaels Lutheran Church, Roseville. 7:30pm ($12) Johnson is a major talent as a piano player, having held down that spot in the bands of Irvin Mayfield, Russell Malone, and Wynton Marsalis. His interpretation of West Side Story at the AQ last month was imaginative and melodic. 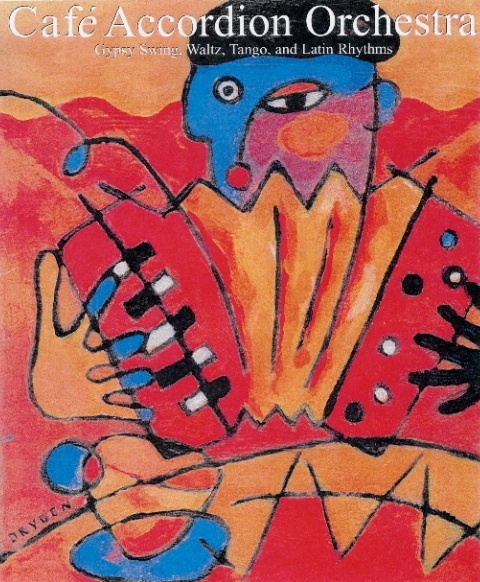 this is the second in his “Jazz Alive” series. U of M Jazz Festival @ Ted Mann Concert Hall, Minneapolis. 7:30 – 9:30pm (FREE) Jazz ensembles from the University will be workshopping all day in order to present this concert with the Hornheads. Jeremy Walker’s Boot Camp @ The Dakota (Late Night), Minneapolis. 11pm ($5) Check out Jeremy Walker’s new project with Walker on piano; Chris Thomson, sax; Chris Bates, bass; and Jay Epstein, drums. Walker is back from his NYC sojourn, and his creative juices are flowing. 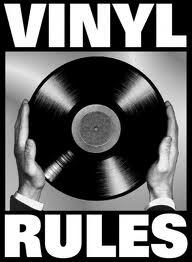 Expect a brace of originals as well as some timeless tunes. A wind instrument for Latin Jazz? Of course! Latin Jazz All-Stars @ The Dakota, Minneapolis. 7pm ($30), 9pm ($20) This band features a hot group of players conversant in many Latin styes. This is a group effort between Steve Turre, Ray Vega, Chembo Corniel, Yunior Terry, Benito Gonzales and Diego Lopez. 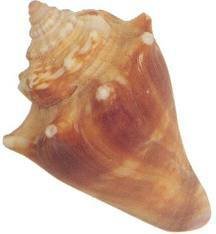 Turre is in the Saturday Night Live Band, and has won Downbeat awards for Trombone and Miscellaneous instrument (conch shells). Vega was the lead trumpet for Tito Puente and the Bronx Horns. Other members of the band are equally well versed in Latin rhythms. I have a feeling the Dakota will be jumpin’. Minnesota Youth Jazz Band @ Famous Dave’s, Minneapolis. 6:30 – 8:30pm. 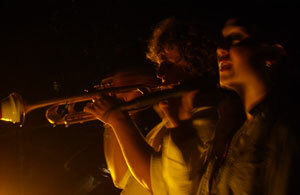 (FREE) Another chance to see young jazzers. This time it’s 19 talented high school students performing arrangements of tunes by Count Basie, Buddy Rich, Charles Mingus and Pat Metheny. Phil Heywood @ Cafe Maude, Minneapolis. 7pm (No Cover) There’ll be some prime fingerpicking going on while folks are dining at the South Minneapolis neighborhood restaurant. Reservations are smart. Ask to be seated near the music. Get Gone, Brass Messengers, and Jack Klatt & The Swingers @ The Amsterdam Bar & Hall, Saint Paul. 10pm (No cover) If you can handle a late night on Thursday, here’s where to get a triple dose of music: Rock n’ Roll, Brass Band music, and some swingin’ roots music. SoulJazz Orchestra @ The Triple Rock Social Cub, Minneapolis. 8pm ($10) Like the bands on Daptone Records, the SoulJazz Orchestra is a horn band with a serious jones for Afrobeat and funk from the 60s and 70s, yet they compose their own music. The four horn, no-guitar funksters from Ottowa will have Peregrine Perspective and the always-lively Brass Messengers as opening acts. Salsa del Soul @ The Crooked Pint Ale House, 501 Washinton, Minneapolis. 10pm ($10) The heat will be rising as fun-loving dancers take to the floor and twist, whirl, and glide to sensuous Latin rhythms of Salsa del Soul. In some ways, the story is familiar. A promising artist is signed to a major label, but the label is sold, or the signing agent leaves the label, or another act’s hit overshadows the new act, leaving the act without a champion or the support of the label. The promising act gets sidelined, goes back home, and either retires, or continues as a journeyman artist. Mickey Murray’s story has some of that narrative, but it is also unique. 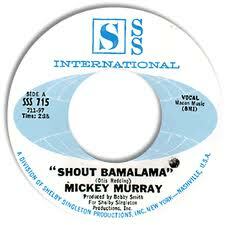 Murray had already had a million-selling hit, Shout Bamalama, a song written and originally recorded by Otis Redding in his pre-Stax years. Murray was then signed to King Records, which was looking for an artist to bolster their lineup since James Brown was about to leave. It was 1968. Soul music had captured the hearts and feet of American teenagers, and quite a few adults. 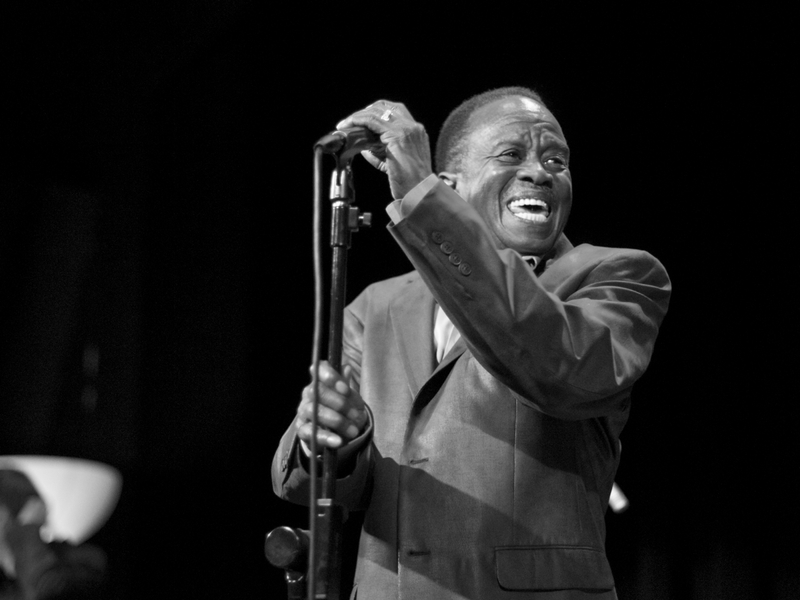 Murray’s dynamic performance of Shout Bamalama resulted in him opening for Aretha Franklin, performing at the Apollo, and touring with Wilson Pickett, The Staple Singers, and others. It also made him a contender for keeping King Records on the charts. 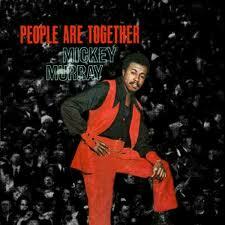 He signed with them in 1969 and recorded the album, People Are Together. The title song was to be the first single, released in 1970. When the song was taken around to taste-making black disc jockeys around the country, they wouldn’t play it. The lyrics, “Take a pinch of white man, wrap him up in black man,” were too provocative for the time. Deejays were afraid of being fired by the white owners of their stations. King Records was sold shortly thereafter. The new owners lost interest. Too bad. 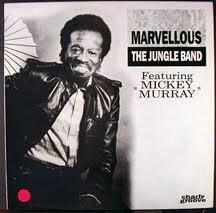 The album is a solid performance of funky music, occasionally lightened by the smile in Murray’s voice. Murray’s rasping voice and the album’s solid arrangements simply epitomize Southern Soul. With no backing from the label, Murray accepted his fate. He returned to his hometown (North Augusta) and continued to perform. The album eventually achieved legendary status among soul music fans, going for hundreds of dollars on Ebay. Then the crate-digging owners of the Minneapolis indie record company Secret Stash got involved. Their specialty is limited-edition vinyl releases of forgotten gems, many from other countries, and a few funk ‘n soul numbers from the United States. 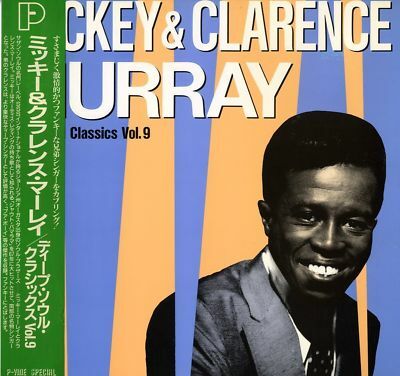 In January they re-issued the album in vinyl, their specialty, and brought Murray, who is now 73, out of retirement to perform at the Cedar Cultural Center. Backed by a six-piece band, which included Secret Stash owners Eric Foss on drums, and Cory Wong on guitar, Murray performed with passion, vigor, and excitement. Murray would often take some unexpected turns as he got into each song, repeating words or phrases, to create tension and release, and calling for solos from the band. It was classic soul. His enthusiasm and energy was contagious, to the delight of the audience, many of whom weren’t born when he recorded. Afterwards, he regaled fans and friends with stories of being on the road. I had a chance to talk with him in the Cedar’s green room. Still excited over the performance and his reception, Murray’s words tumbled out and around as he humbly talked about his background and his involvement with Secret Stash. LE: When did you first realize that music was going to be an important part of your life? MM: Music has been in my life ever since I can remember. Me and my brother Clarence started out in grammar school singing gospel music. Then we started singing around Augusta, and North Augusta. Then every summer when we’d get out of school, when I was in high school, our manager would go down to Brunswick, Georgia, and set up a house for the summer for us. And we’d work out in the different rural areas like Saint Palmas Island, Jacobs Island, Jacksonville, Florida, Saint Augustine, Florida. Come out through Alabama, Mississippi, South Carolina. Every summer. LE: How old were you when you were doing that? MM: I was in high school, so I’d say I was fifteen, yeah. LE: When did you switch from singing gospel music to more secular music? MM: In 19… 59. Mr. Raymond Dean, the band teacher at Jefferson High School took an interest in me. He had a band that was practicing… School was out for the summer, and he would take a band down there two or three times a week, and practice them. And he liked me and he’d come by and pick me up, and take me down there and practice me up. Since I’d been singing gospel, I didn’t know nothin’ about these type songs. I didn’t know how to set the tempo, I didn’t know how to do this, do that. He explained everything. And then one day, he told me, he said he had a man (ed note: Sam Gantt) interested in me, and he told me he wanted me to come down to school at night and go through my little routine, and I saw this man in the corner. And when I got through doin’ my thing, he begged for me to come over, and when I went over, he didn’t even introduce himself to me. He said, “You wanna sing with a band?” and I said, “Yeah.” From there I went with the Zippers band. MM: Yeah. They’re the band that played behind me on Shout Bamalama. LE: When you went with the Zippers, did you tour with them for a while? MM: Oh! I went with the Zippers in ‘59, and by ‘60, ‘61, they had us on Broadway. We was on Broadway, for.. Really I don’t know because I was so young, time didn’t matter. I didn’t keep close check on it. I know that we was up there for a while at the Times Square Hotel. LE: You were playing at that hotel? MM: Yeah, and then from there, me and my band, during the football season, we’d play at after-parties at Georgia Tech, Emery, all down through Alabama, Tuskegee, all the time. And then we’d play all the military bases at least once a month. Then we’d play at Fort Gordon. When we was in town we’d play that every Wednesday night. LE: And were you actually from Augusta? MM: I’m from North Augusta. See, North Augusta and Augusta are back to back. Augusta’s in Georgia, and North Augusta is in South Carolina. James Brown would call it Georgialina. LE: How did the opportunity to record come about? MM: Oh, from Miss Carter. I think her name was Mary Carter (Ed note: it was Blanche Carter). 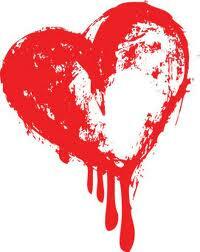 She wrote a record before I come along… a big hit, Devil or Angel. I’m not sure of the group, I think it was the Moonglows. LE: I believe it was the Clovers. MM: The Clovers. Yeah, yeah. My manager took me to her house to audition and she liked me. She told my manager Sam that she wanted to take us to Macon Georgia, and introduce us to Bobby Smith. 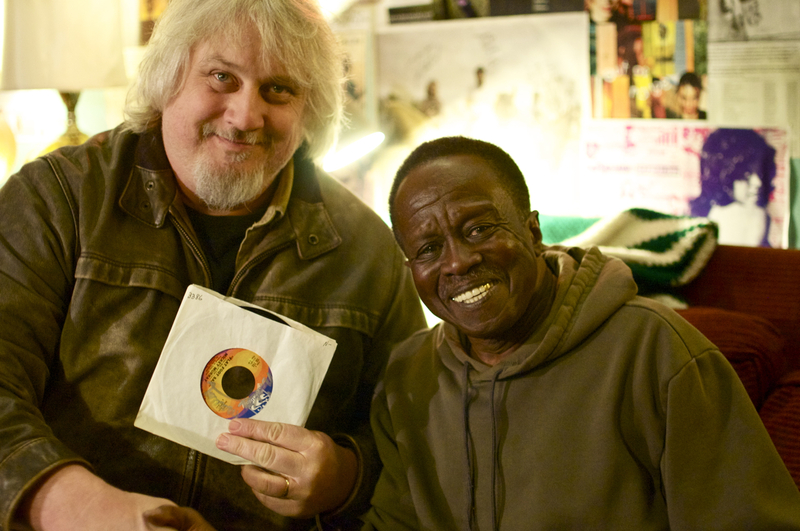 Bobby Smith is the one that I believe produced Otis Redding in the beginning, a long time ago. She took me up there to introduce me to Bobby Smith, and ah, I did an audition for him, because she had a song that she wanted me to do. When we got to the audition, Bobby Smith told my manager and told her that he didn’t have nothin’ for me at this time. But he would be getting back in touch with Miss Carter later on. Later on, I don’t know how long it was, I don’t know a week, month, a year, cause I was young, and not keepin’ up with time. Anyway, one day my manager called me and said, “Bobby wants me to bring you to Jacksonville, Florida – you and the Zippers, and he wants you to cut a record.” I got down there and he had Shout Bamalama. I told him I didn’t like Shout Bamalama, and I wasn’t gonna record it. (laughs) We got to talkin’ back and forth and I said, “Well my drummer, that’s his song. Let him sing it. That’s what he sings every night.” Smith said, “I don’t want him to sing it, I want you to sing it.” So, I wouldn’t agree with him, and he told my manager, “Talk to him, talk to him, talk to him.” Sam took me out, and we walked up and down the sidewalk, and everything, and I come to an agreement to do it. And I said, “Well I don’t even know the song,” and they went and wrote the lyrics on a blackboard. I ended up reading them off the blackboard. LE: So you had a big hit. You traveled around, opened for a bunch of folks, and then King Records wanted you. What label was Shout Bamalama on? MM: SS International – Shelby Singleton’s label. LE: After you did the record for King, and couldn’t get it played, what did you do? MM: Forgot about it. I didn’t really hold no grudge, or hard feeling toward King, the recording company, cause I would have done the same thing if I couldn’t sell the product and couldn’t get nobody to take it or present the product. There wasn’t nothin’ for them to do but back away from it. LE: Did you continue to perform? MM: Oh, hell yeah. Yeah. Yeah. LE: Did you try to get any other record contracts? MM: Well, I cut a couple of things, you’all got it up here too. I did a thing with a friend of mine John Peterson. We produced the thing together, in Nashville Tennessee. Then in ’88, me and Tony Cook, a drummer for James Brown, did Teenapopper, for London. I did Marvelous for London. I got a couple of other things… Ahhh, I did Full Speed Ahead for London. I got a couple of other things.. Sometimes I forget. Another song is It’s Too Hot in Here. That was by James Brown’s bongo player. I did it with Tony and we did pretty good with it. LE: You said earlier that you hadn’t been performing for a while. MM: I got into the church. That’s a good thing. And I started singing in the choir. I sing at weddings, birthday parties, family reunions. I do that every now and then, but I don’t put on a show. At a birthday party I might go up there and sing a couple of songs, you know. Sing a song here and later on sing another song. But that’s about it. I ain’t been out there like I did tonight back to my old thing. LE: What did you think when Secret Stash contacted you? LE: It certainly seemed like you enjoyed yourself on stage tonight. LE: Thank you very much for your time. 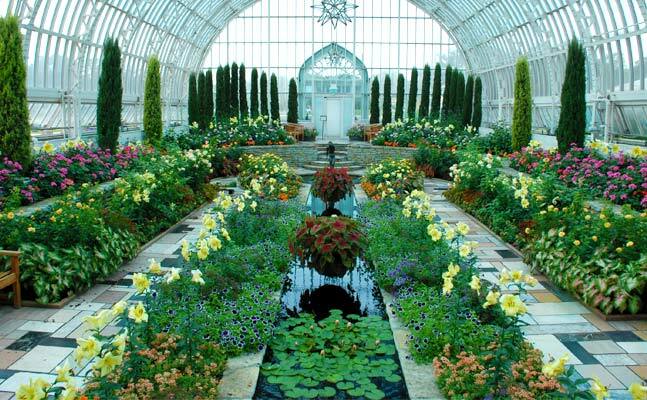 The weather is unseasonably mild in the Twin Cities. Just right for getting out and supporting the creative musicians in our community. 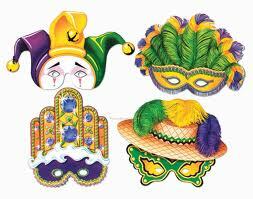 Here are some suggestions for February 1-7. Jana Nyberg Group @ The Red Stag, NE Minneapolis. 10pm. (No Cover) Jana is picking up quite a bit of work around town, as club owners recognize her talent as a vocalist. Her considerable skills are enhanced by the crack band backing her: Adam Meckler, trumpet; Evan Montgomery, guitar; Matt Peterson, bass; and Greg Schutte, drums. Chris Lomheim Trio @ The Artists’ Quarter, Saint Paul. 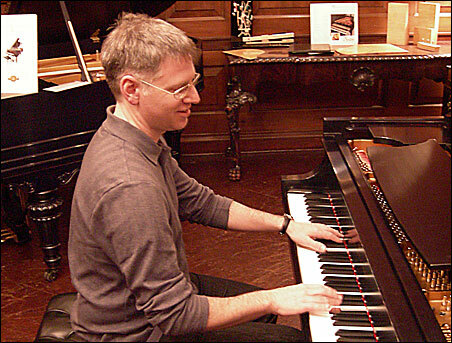 9pm ($5) Chris is a busy pianist who admires Bill Evans, yet he has a style all his own. He’s sensitive enough to accompany the best vocalists, and imaginative enough to play in a variety of contexts, including the Illicit Sextet, where his modern, swinging compositions are well appreciated. This trio context will let his skills shine. 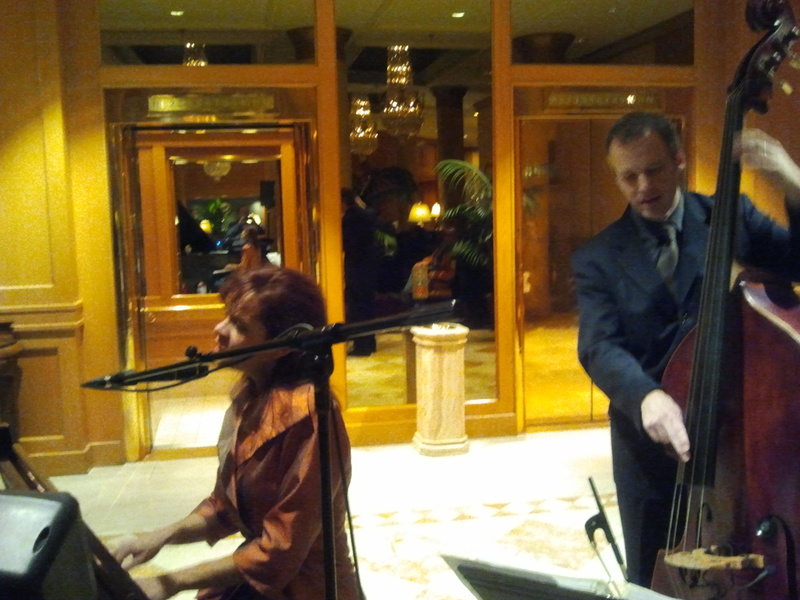 JoAnn Funk & Jeff Brueske @ The Saint Paul Hotel Lobby Bar, Saint Paul. 7pm – 11pm. Stopped down here a couple of weeks ago and had a delightful time listening to JoAnn sing and play songs from artists as diverse as Blossom Dearie and Dan Penn. 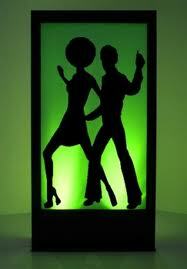 With Jeff on bass, the two were able to generate enough heat to have a few couples dancing. Yes, dancing. In the lobby. Dave King Trucking Company @ The Artists’ Quarter. 9pm ($15) Out of the many bands that King is part of, this one has been getting out and about a bit more of late. A recent review of their CD, Good Old Light, in the NY Times signals a growing reputation for this particular group. Read the review here. Arne Fogel @ The Lexington, Saint Paul. 6:30pm – 10:30pm. The ever affable jazz crooner is performing at a new/old venue in town. The Lexington, long a hang-out for Saint Paul’s old guard (and young turks) has new owners, and is now featuring music in the Williamsburg Room. 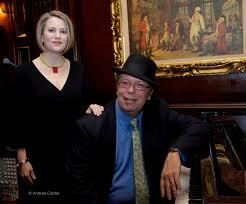 Mary Louise Knutson will be on piano, to complement Arne’s comfortable, yet swinging style, ala Crosby and Sinatra. Check out his chops with this video, a duet with bassist Keith Boyles. Resurrection @ Studio Z, 275 East 4th St, Saint Paul. 8pm ($10/$5 for students) Resurrection is: Ellen Lease, piano; Pat Moriary, alto sax; Noah Ophoven-Baldwin, trumpet; and Evan Clark, tuba. An interesting combination of players who are good at listening to each other to create new sounds. Mostly new compositions. For reservations, click here. Zacc Harris Trio @ Barbette, Minneapolis. 10pm (No cover) For this gig, Zacc, the ever-busy guitarist, has Chris Bates on bass and Pete Hennig on drums. Standards and originals for a late night. Magraw & Seru w/guest Anthony Cox @ The Blackdog Coffee and Wine Bar, Saint Paul. 7pm – 9pm (tip jar) The Davu Deano Duo (try saying that twice) of Dean Magraw on guitar and Davu Seru on percussion have been producing some fine music at this monthly gig (first Tuesday). Now they’re bringing in guest artists, and for their first they have Anthony Cox, bassist extraordinaire. There simply isn’t enough room to list everyone Cox has played and toured with. Suffice it to say, this will be an evening of high caliber music. 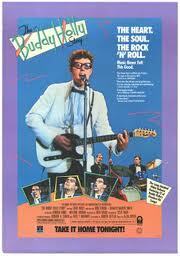 Buddy Holly Celebration w/Gary Busey @ The Parkway Theater, Mpls. For the 53rd Anniversary of the death of Buddy Holly in a plane crash in Iowa, The Parkway is presenting the movie, The Buddy Holly Story, which starred Gary Busey in an Oscar-nominated performance. Thursday Night will feature the band from the History Center’s production of Holly’s life. On Friday night Busey will come by to talk about the film, Holly, and to play a couple of tunes with the band. I recall seeing him guest at a Bonnie Raitt concert shortly after the film came out. Busey tore up the place. Gregg Inhofer & the Cockeyed Band @ the Black Dog Coffee & Wine Bar, Saint Paul. 7:30 pm ($10) Inhofer is a pianist who was in the legendary Pepper Fog here in the Twin Cities, toured with Olivia Newton-John, and played piano on Dylan’s Blood on the Tracks. He’s joined by long-time friend Eric Kamau Gravatt on drums (Weather Report, Wayne Shorter, McCoy Tyner) as well as Jason Parvey on sax, Charles Fletcher on bass, and Dale Strength on guitar. Inhofer’s recent release, Music for the Upright Walking, features elements of jazz, gospel, pop, and spoken word. Steve Sullivan & The Factory do an acoustic opening set. I interviewed Gregg and Eric on my show this past Saturday. You can hear it here Gregg’s music starts about 10 minutes into the show, with the interview starting about 4 or 5 minutes later. Mother Banjo, Daddy Squeeze, & Baby Grant Johnson @ The Amsterdam, 6th & Wabasha, Saint Paul. 9pm (tip jar). 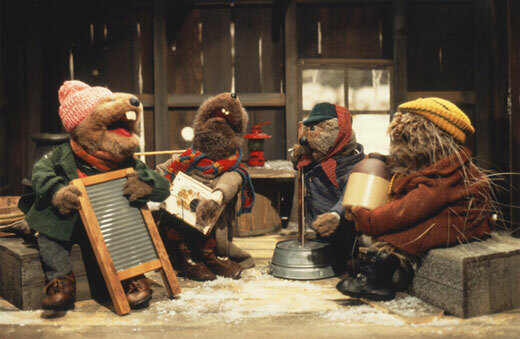 Banjo, Accordion, and blues. 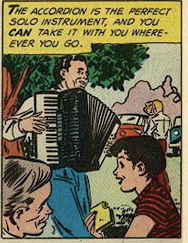 The self-deprecating among banjo players and accordionists would be the first to sympathize with a blues player who has to appear on the same bill with both. Funny thing is, Mother Banjo and Dan “Daddy Squeeze” Newton are highly creative and highly entertaining. Baby Grant is no slouch in that department either. Johnny Rawls @ Famous Dave’s, Uptown Minneapolis. 8pm – 11pm. Johnny’s been touring around the state during the last few weeks, bringing his warm blues to the great white North. He started playing professionally while still in high school, with folks like ZZ Hill and Joe Tex. He served as bandleader for OV Wright and Little Johnny Taylor before going solo in the mid-80s. A thorough professional, Rawls will work the crowd, joking, getting folks onto the dance floor, and generally being an entertainer in the best sense of the word. The Senders @ Wilebski’s Blues Saloon, Saint Paul. 7pm – 10pm. ($7) Okay dancers, get out those shoes that are just right for trippin’ the light fantastic and head over to Rice Street up by Larpenteur. The Senders will be featuring a full horn section tonight, just right to punctuate the band’s swinging rhythms and jump blues. 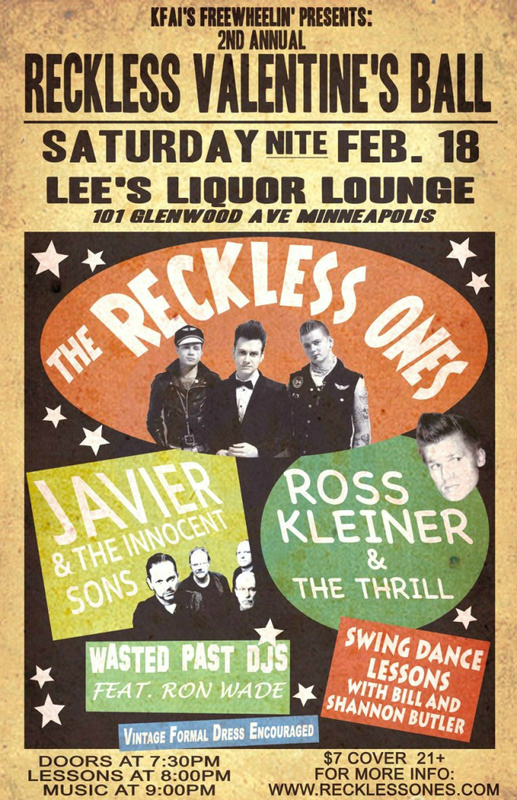 Whether you prefer West Coast Swing, the Lindy, or free-style dancing, you’re sure to have fun when this band plays. As an added incentive to get you there early, there’s a happy hour with free food from 5-7pm. Patty Peterson & Friends @ Bunkers, Minneapolis. 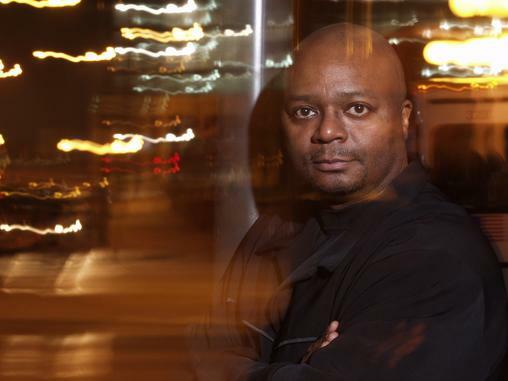 9pm ($10) This is billed as an R&B show, though Peterson readily straddles the boundary between R&B and jazz. Special guests include Rickey Peterson and Steve Cole. Bunker’s dance floor will be filled. Viva Brazil @ The Dakota (Late Night), Minneapolis. 11pm ($5) A bunch of terrific musicians playing hip-swaying rhythmic music. Viva Brazil includes Altamir Coelho, bass; Kevin Washington, drums; Cory Wong, guitar; Dan Musselman, piano; Eliezer Freitas Santos, percussion; Rubens de Mello, vocals. I think this is the third performance of Brazilian music that I’ve mentioned in a month. Is there a trend going on here? This group plays MPB (Brazilian Popular Music), which encompasses more than bossa novas, as you will hear. Sambas, jazz, funk, & fusion are all part of their repertoire. 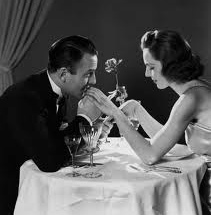 You are currently browsing the rhythm and grooves blog archives for February, 2012.